$15 (book with ticket options available), includes welcome drink on arrival. Boffins Books and Cottesloe Golf Club are delighted to host Adrian Hayes as he speaks on his book One Man's Climb: A Journey of Trauma, Tragedy and Triumph on K2. Adrian Hayes details an intensely personal account of his attempts to climb K2 - the notorious second highest mountain in the world - in 2013 and again in 2014. 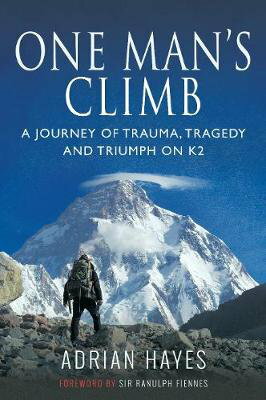 In this gripping narrative, the author seamlessly shifts between his guilt and struggles as a father amid tumultuous personal circumstances; the profound events on K2 and the powerful lessons for our lives in the world below. Absorbing and self-reflective, his journey is as much a story of climbing a mountain as it is a compass for conquering the mountain within all of us. 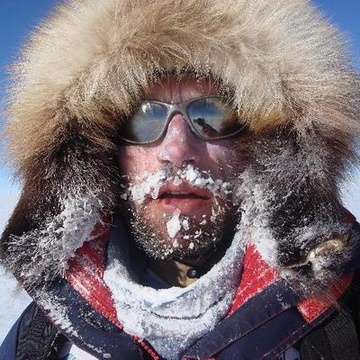 Adrian Hayes is a British record-breaking adventurer, author, keynote speaker, leadership & team coach, documentary presenter and sustainability campaigner. A former British Army Gurkha officer and Special Forces soldier, he has two Guinnness World Records for Polar expeditions to his name; has featured in three documentaries to date and is the author of two books. Can't make it? We'll happily arrange to have a copy signed for you. Call Boffins Books on 9321 5755 to make the arrangement.